It's a good time to be a McDonald's fan. The chain's mobile app has begun offering deals that pretty much everyone eating at the Golden Arches should take advantage of. Earlier in the summer, McDonald's started offering free fries on Fridays and $1 sandwiches. Now, the free fries deal has been expanded to days that don't invite potato puns. 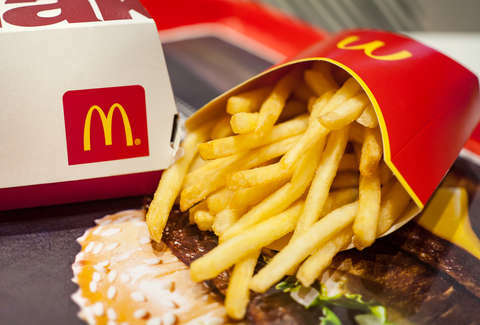 You can land yourself a free medium order of fries every day this month. That's not intended as a challenge, but you could totally do it if you wanted. To get your hands on the nation's second-best fast food french fries, you only have to make a purchase of at least $1 and pay using Apple Pay during a mobile order. You'll find the deal in the company's mobile app under the "deals" section. You can use it one time per day through September 30. Though, as we've seen before, be sure to check the app before getting yourself too invested in that freebie, because the deals sometimes change. Other new offers you'll find in the app this month include a free soft drink on Tuesdays with a $1 purchase and a deal for a $0.01 McCafe drink (excluding drip and iced coffee) with the purchase of a medium or large McCafe.